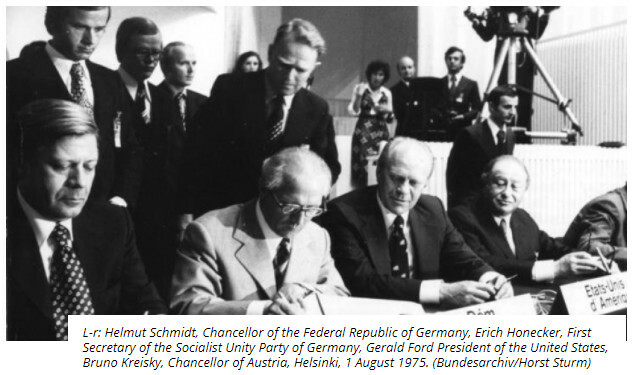 The Final Act of the Conference on Security and Cooperation in Europe was signed in 1975 by Gerald Ford. 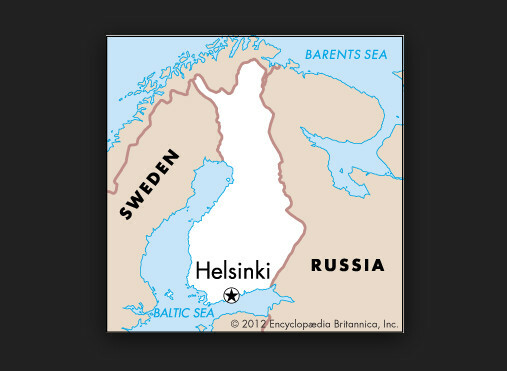 The Final Act is more commonly known as the Helsinki Final Act. It was signed as a politically binding, gentlemen’s agreement for treason to resolve the Cold War differences. 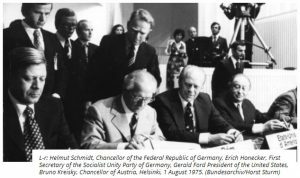 The organization that was created to carry out the principles of the Helsinki Final Act is the Organization for Security and Co-Operation in Europe (CSCE). The American delegation to the OSCE is the Commission on Security and Cooperation in Europe (CSCE). 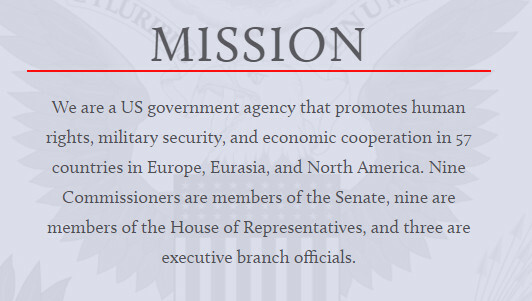 It’s an independent government agency comprised mostly of members of the Senate and the House. Basket I – the Security Dimension – contains a Declaration of Principles Guiding Relations between participating States, including the all-important Principle VII on human rights and fundamental freedoms. It also includes a section on confidence-building measures and other aspects of security and disarmament aimed at increasing military transparency. Basket II – the Economic Dimension – covers economic, scientific, technological and environmental cooperation, as well as migrant labor, vocational training and the promotion of tourism. economic, scientific, technological and environmental cooperation, as well as migrant labor, vocational training and the promotion of tourism. Thirty years ago a courageous band of human rights defenders in the Soviet Union founded the ‘‘Moscow Helsinki Group,’’ dedicated to monitoring Soviet compliance with the Helsinki Final Act, an historic agreement containing important provisions on human rights. By 1982, the Moscow Helsinki Group had been forced to suspend its activities in the face of intense KGB repression. The Moscow Helsinki Group was re-established in 1989. Reinvigorated through the work of new and veteran members, it is one of the most respected human rights organizations in the Russian Federation today. Alexeyeva, who returned to Russia in the early 1990s, following the demise of the Soviet Union, serves as chair of the group. Mr. Speaker, we would do well to heed the wise words of Andrei Sakharov when he noted, ‘‘The whole point of the Helsinki Accords is mutual monitoring, not mutual evasion of difficult problems.’’ A key to the ultimate success of the Helsinki Process has been the involvement of civil society—courageous human rights defenders like those who established the Moscow Group—willing to speak out on behalf of others. I remain deeply concerned over human rights trends in Russia, especially the adoption of regressive laws affecting fundamental human rights and freedoms. …A key to the ultimate success of the Helsinki Process has been the involvement of civil society—courageous human rights defenders like those who established the Moscow Group—willing to speak out on behalf of others. A big part of the research I’ve done has been on visas for foreign workers and foreign investors first because the H-1B visa holders affected my career and the careers of all American IT professionals. The question I was trying to answer was why is our government doing this to their own citizens? What possible benefit to the country is there in bankrupting and destroying the lives of it’s own citizens? What I found is that during the administration of George Herbert Walker Bush, legislation was passed for “migrant workers” and it provided the legislation for mass importation of professionals from the Soviet Union. (For the record, in this country the term migrant worker was synonymous with Mexican farm workers but the word migrant simply means mobile in the context of Helsinki Basket II.) It should be noted as well that George Herbert Walker Bush was the chief negotiator with the Soviets during the Reagan Administration. International organizations such as the World Bank, the World Health Organization (WHO), UNAIDS, UNICEF, UNESCO/International Institute for Education Planning, the Organization for Security and Co-operation in Europe (OSCE), the United Nations Development Program (UNDP), the European Union, the Council of Europe, the Global Fund to Fight AIDS, Tuberculosis and Malaria, the European Commission, African Commission on Human and Peoples’ Rights, and the Asian Development Bank. National government aid agencies, including the United States Agency for International Development (USAID), the United States Department of State’s Bureau of Educational and Cultural Affairs, the United States Centers for Disease Control and Prevention, Britain’s Department for International Development (DFID) and Foreign and Commonwealth Office (FCO), the French Centre National des Oeuvres Universitaires et Scolaires (CNOUS), the Swedish International Development Cooperation Agency (SIDA), the Canadian International Development Agency (CIDA), the Netherlands Ministry of Foreign Affairs Matra Programme, the Swiss Agency for Development and Cooperation, the Danish Ministry of Foreign Affairs FRESTA Programme, the German Foreign Ministry and Academic Exchange Service (DAAD), and a number of Austrian government agencies, including the ministries of education and foreign affairs, that operate bilaterally. National governments in several countries, including Germany, the Netherlands, Sweden, Switzerland, the United Kingdom, and the United States, that cofund programs sponsored by Soros foundations in those countries, especially in education. Coincidentally, there was a program on C-Span that was about the Community of Democracies. Secretary of State Rex Tillerson spoke at the event. 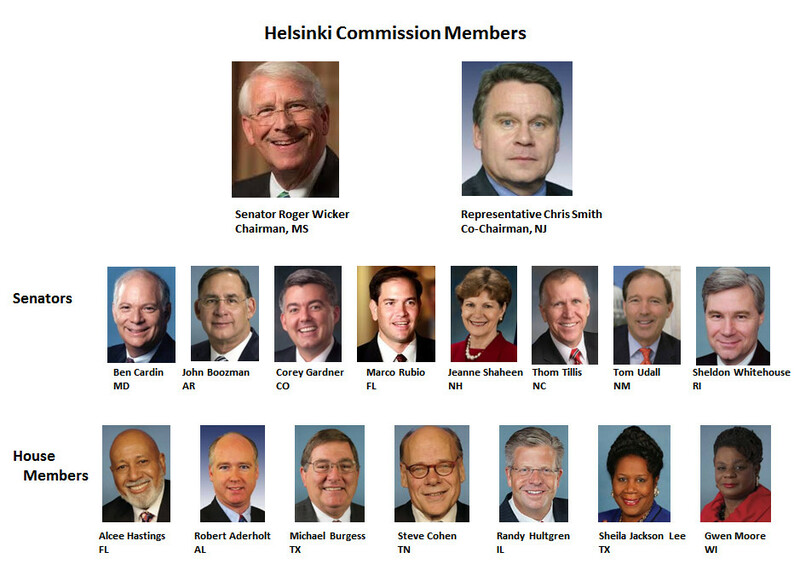 As I put this information all together… it makes me wonder – who are these people that are pretending to be the government and representatives of the American people? They are neither. 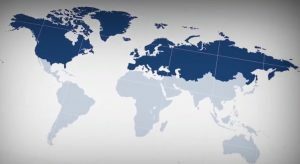 They are pretenders working towards global communism and they are using our domestic telecommunications network – the Internet to try and make Americans believe that globalism and global communism are elements of America’s mission in the world and are consistent with American values and interests.